Rachel began blogging as a means of sharing daily encouragement with other women. As a self-professed uni-tasker who struggles in a multi-tasking world, her desire to create a "soft place to land" for her family led to finding an online community of readers who love her gentle wisdom and self-deprecating humor. Since 2006, HomeSanctuary.com has been her blog home, and you can now find her writing at RachelAnneRidge.com. Rachel wrote for and managed Priscilla Shirer's blog, GoingBeyond.com for two years, and contributes to other blogs on the topics of parenting, organization, faith, and creativity. She is an engaging speaker who loves to share funny, often poignant stories that touch the heart and reveal God's love in unexpected ways. 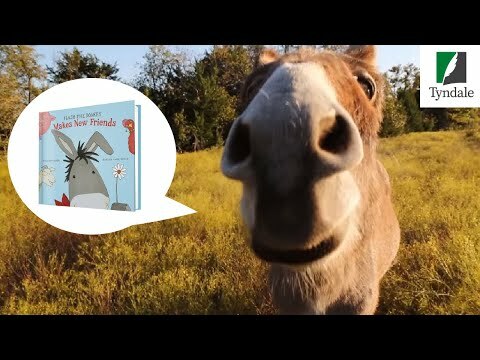 Flash, The Homeless Donkey Who Taught Me About Life, Faith, and Second Chances, is published by Tyndale Momentum. Rachel lives in Texas with her husband, Tom, and now, two donkeys.